Yesterday I shared a super easy and impressive dinner recipe with you: Skillet Chicken Parm for Two-- a perfect dinner for two at home. Today, I wanted to share another easy recipe with you that's perfect for serving with this chicken parm or any Italian dish. My husband is a big proponent of eating garlic bread with each and every pasta dish. I don't always buy into this theory because, let's be honest, that's a whole lot of carbs in one meal. However, it can be really fun to cheat. As much as I am not a fan of buying prepared foods, I often resort to that when it comes to fulfilling Alex's need for garlic bread. However, I recently decided that if he had to have it, then I would try to make it myself. 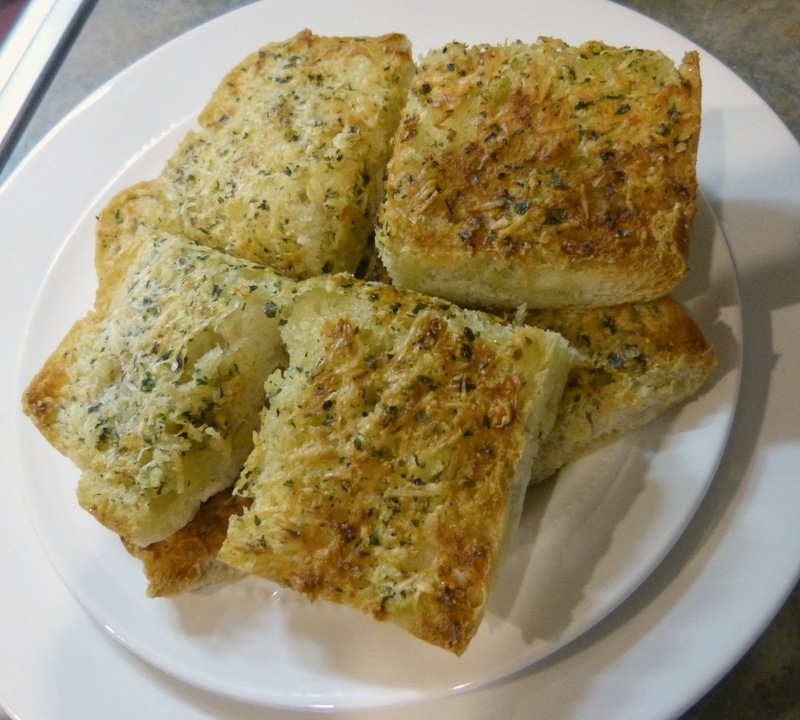 This homemade Parmesan garlic bread is really tasty and quick to prepare. All of the topping ingredients are whipped together, spread in a thick layer over chewy ciabatta bread, and baked until it's soft on the inside and crispy on top. Garlic bread perfection. 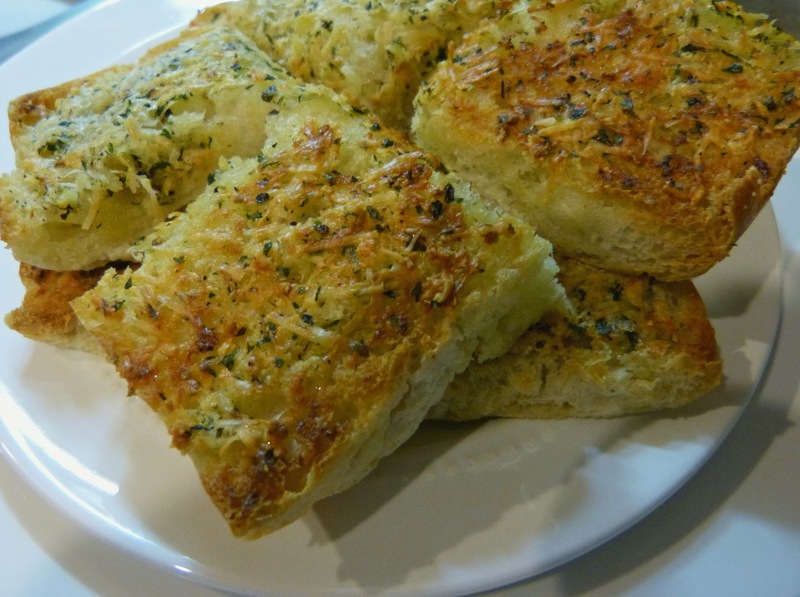 Arrange bread cut sides up on a baking sheet. In a small bowl combine oil and remaining ingredients through salt and pepper until a creamy mixture is formed. 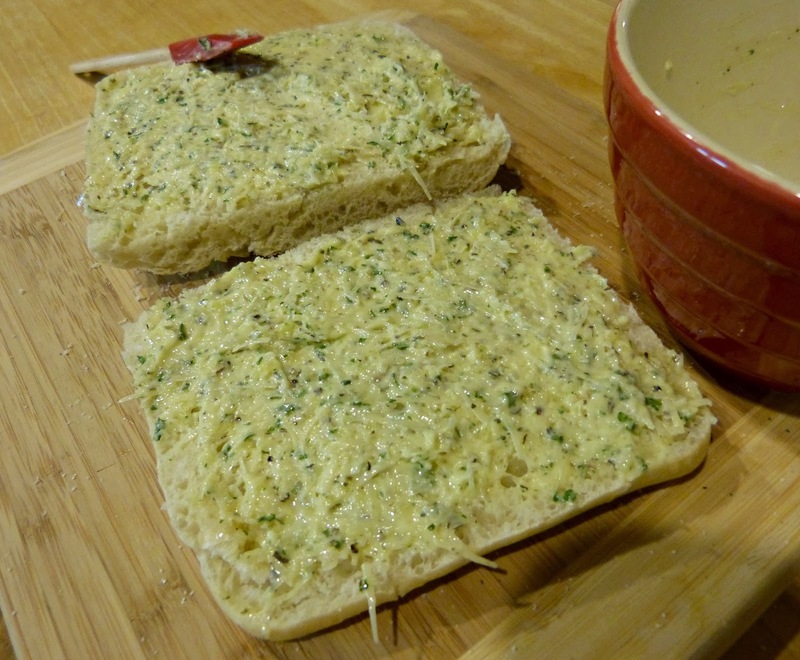 Divide the mixture and spread evenly over the cut sides of both pieces of bread. Bake for 15 minutes until bread begins to brown and the cheese in the topping is melted and bubbly. Place under the broiler for an additional 3-4 minutes until the top is browned. Remove from the broiler and allow to cool for about 5 minutes. Cut into slices and serve warm. 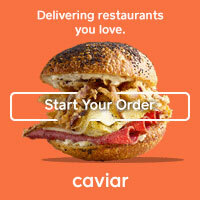 Looking for other ways to use ciabatta? Try these Grilled Chicken Pesto Sandwiches or Italian-Style Eggs Benedict.